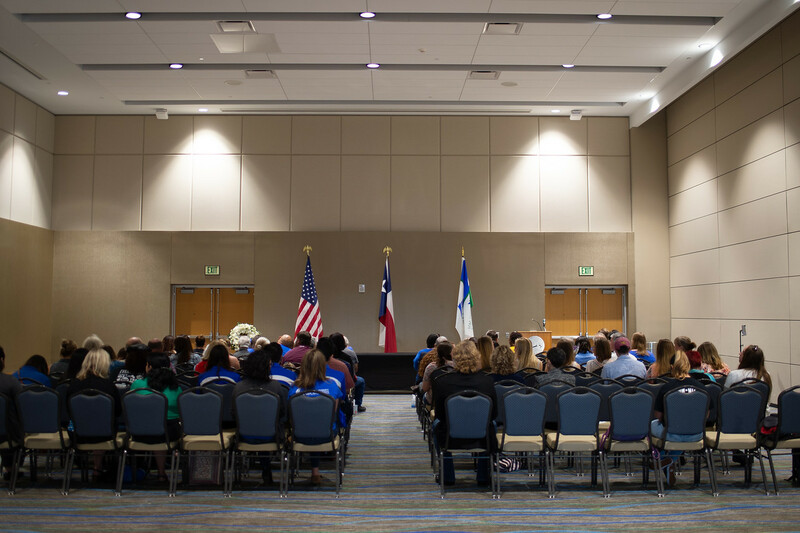 CORPUS CHRISTI, Texas – Oftentimes, we pass by people who touch our lives, whether it be a simple gesture like someone holding a door open or staying after class to ask a question. 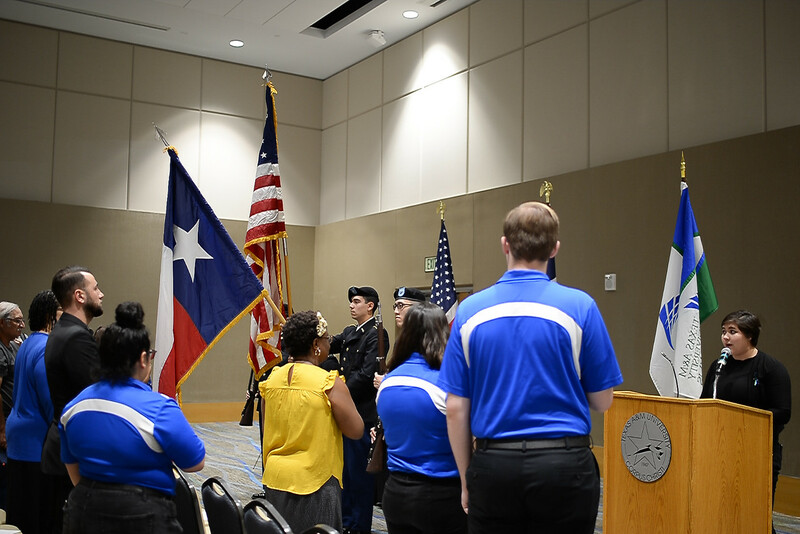 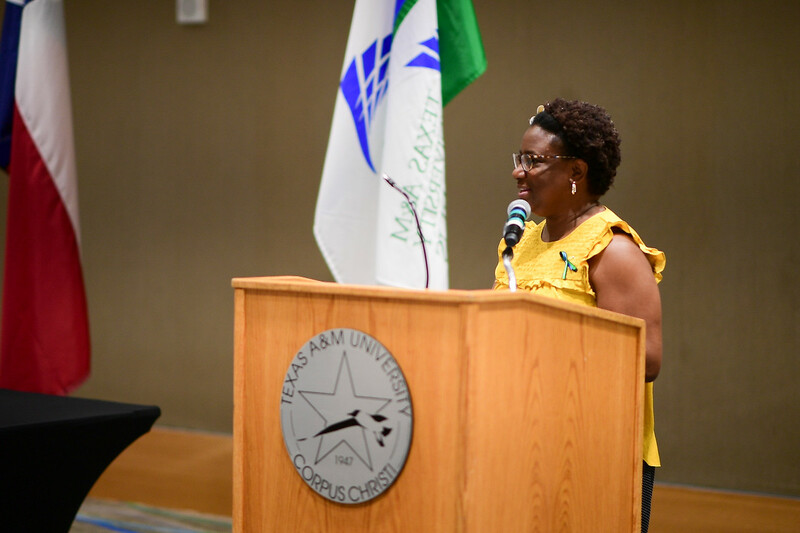 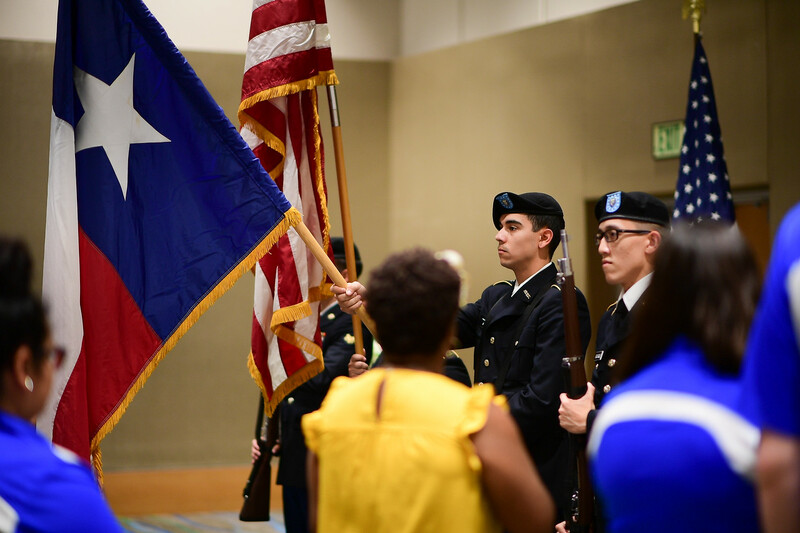 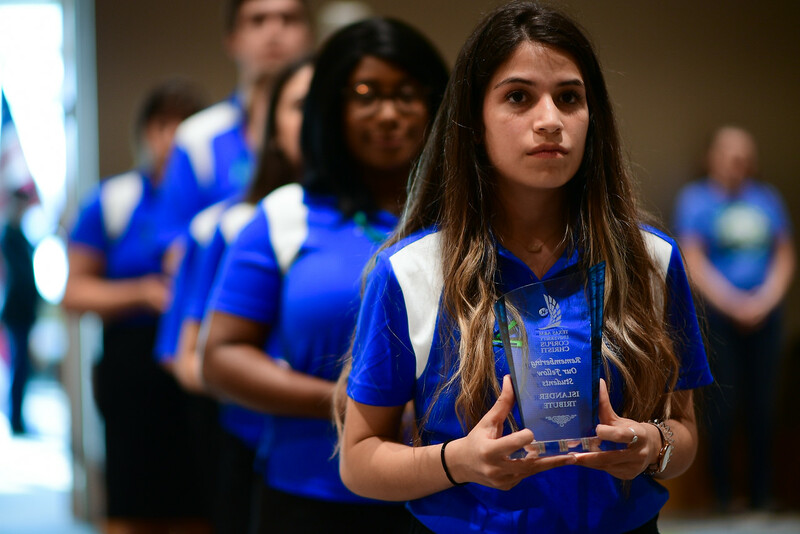 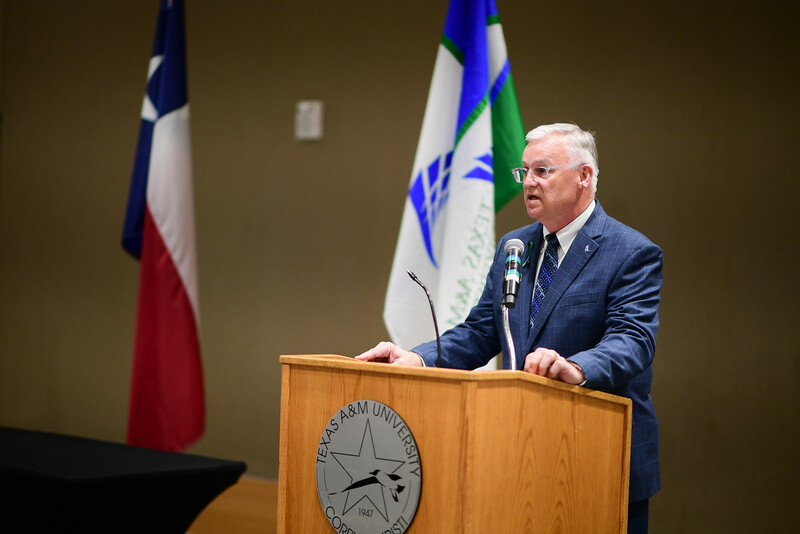 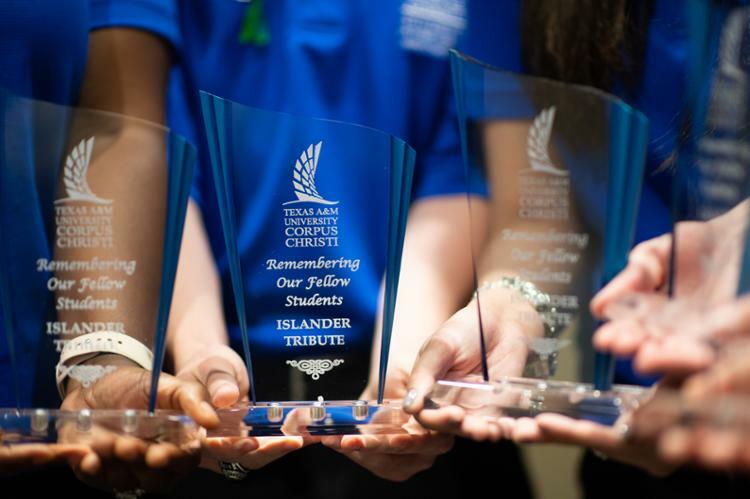 To Dr. Juan Carlos Huerta, professor of political science at Texas A&M University-Corpus Christi, Pedro Garza was an Islander student who stood out. 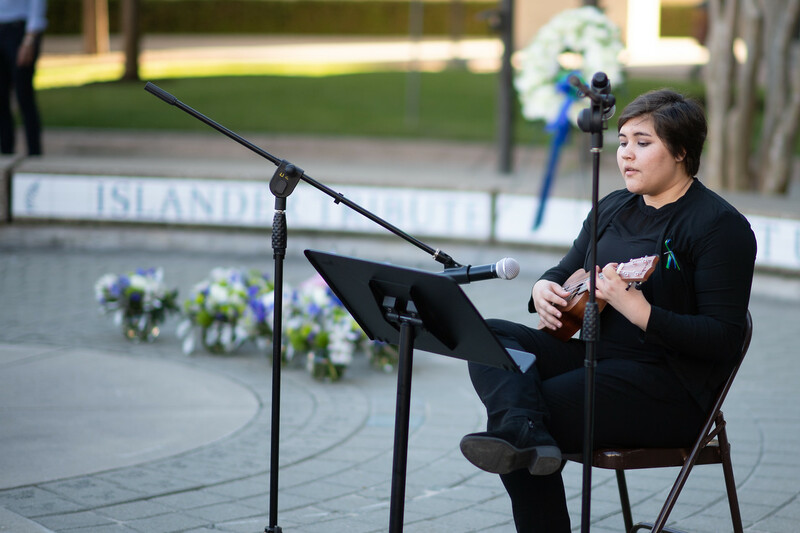 Garza, one of seven students who passed away last year, was in a first-year learning community with approximately 25 students. 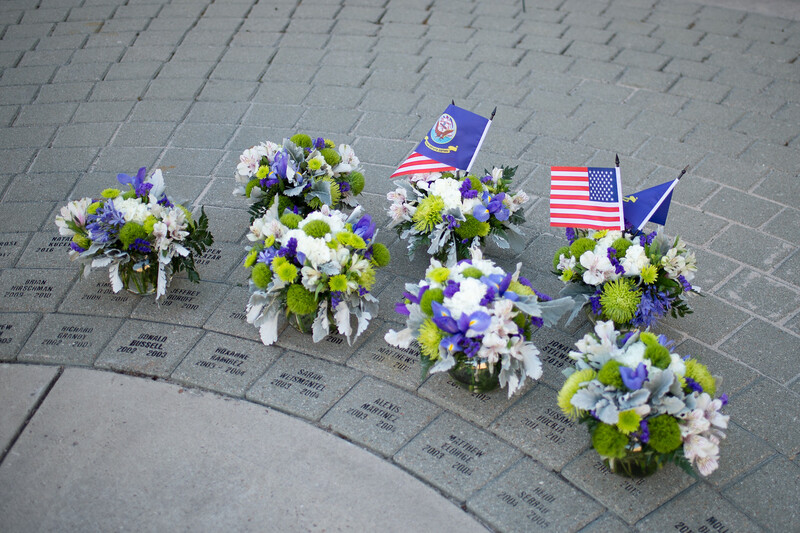 He and his classmates became a tight-knit group. 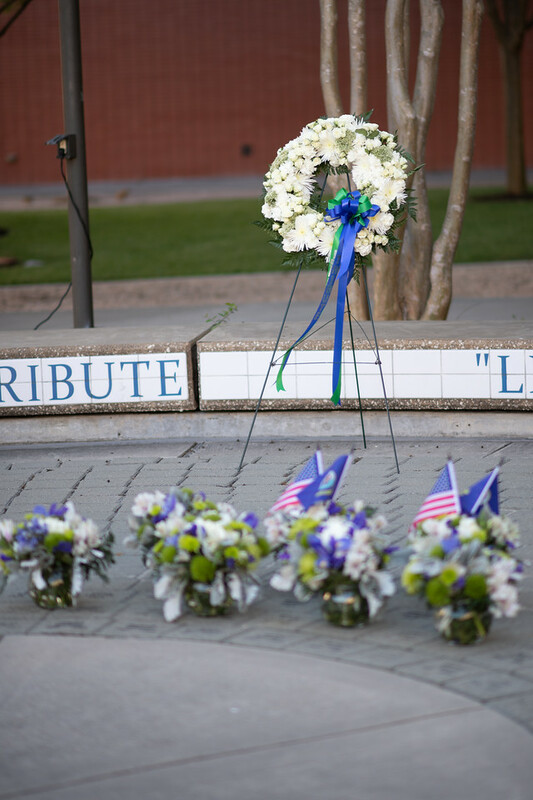 They would sit together in class, visit with each other, and enjoyed playing video games, according to Huerta. 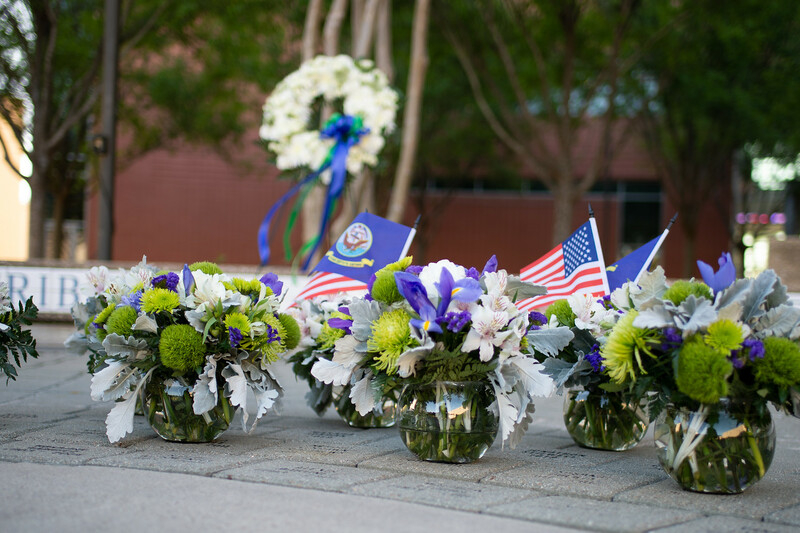 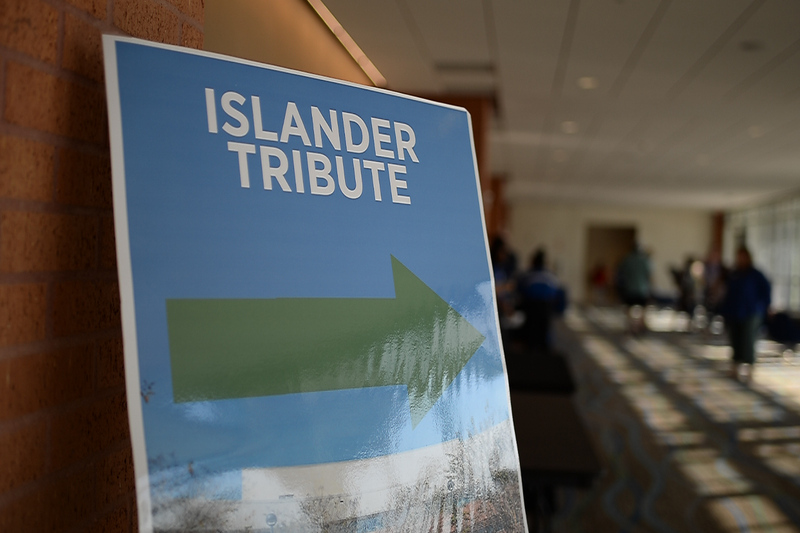 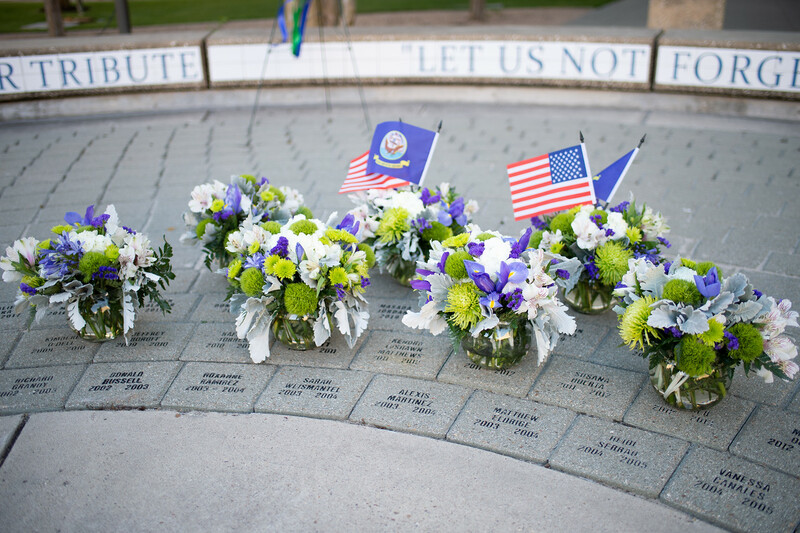 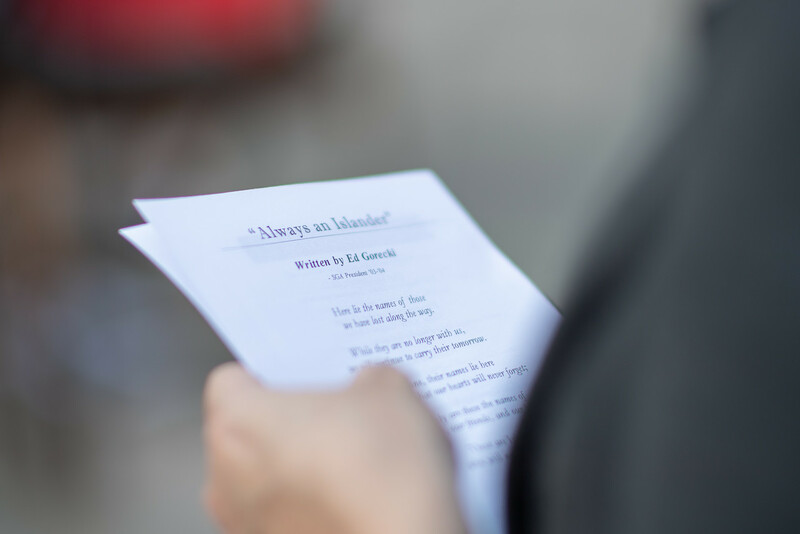 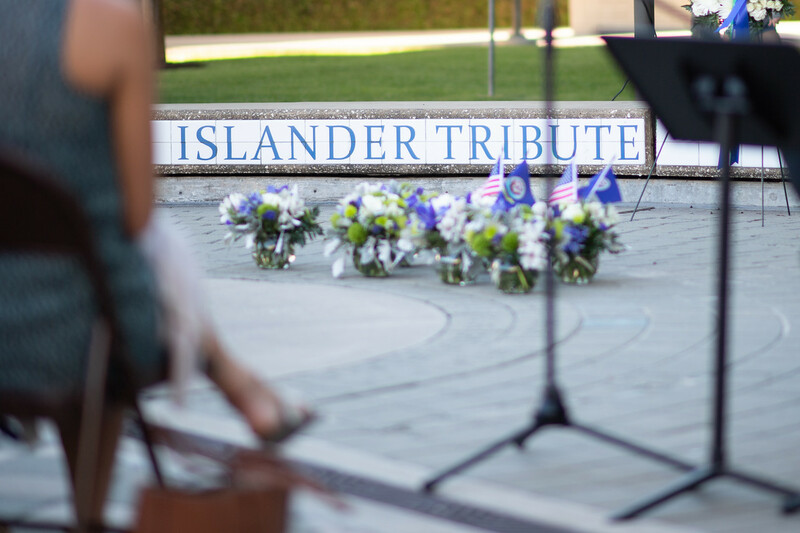 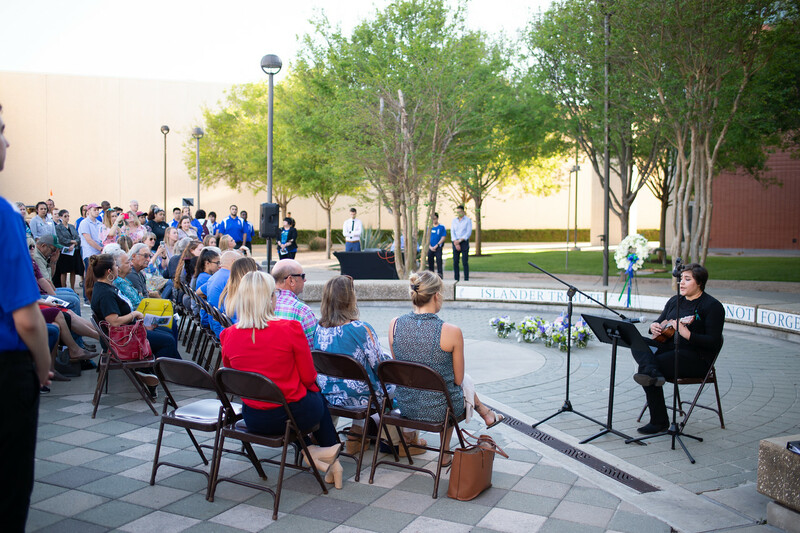 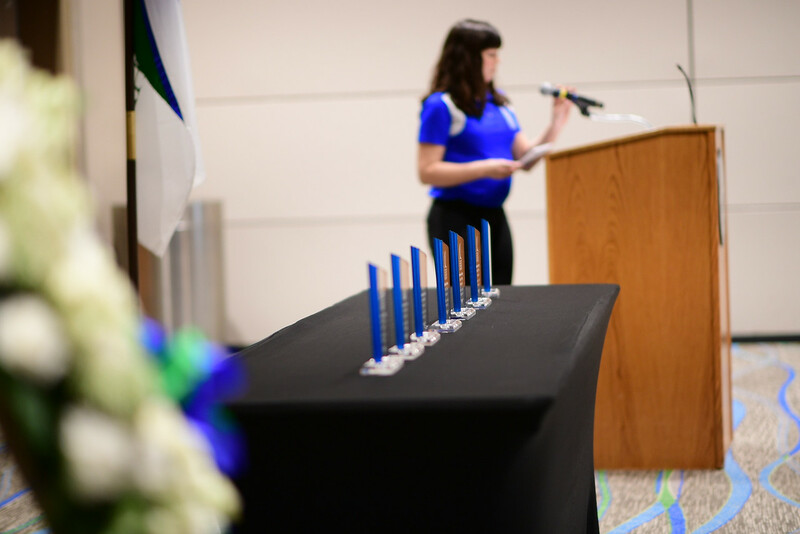 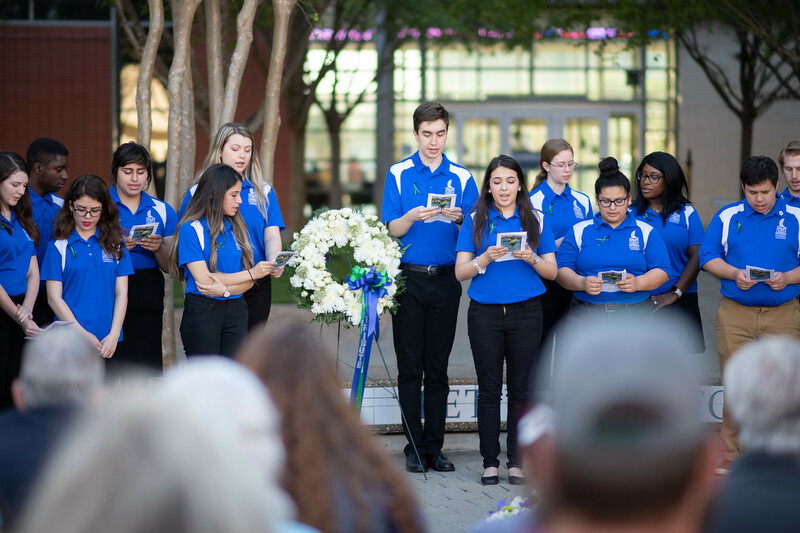 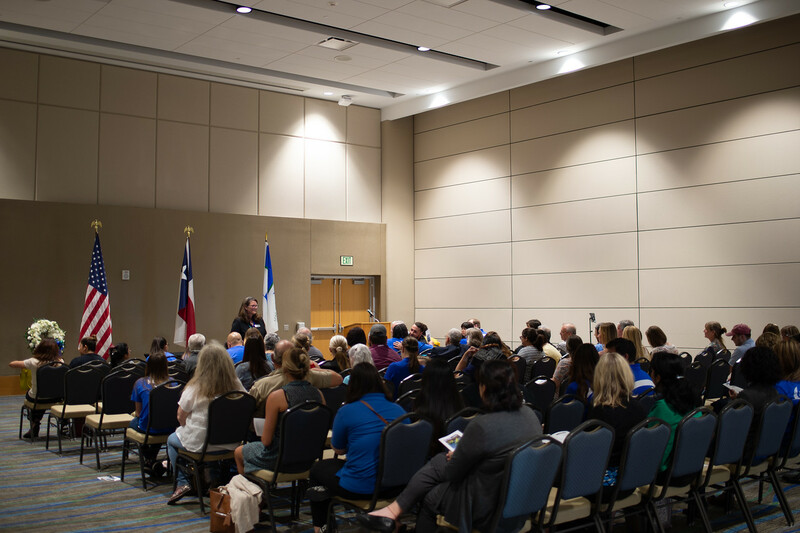 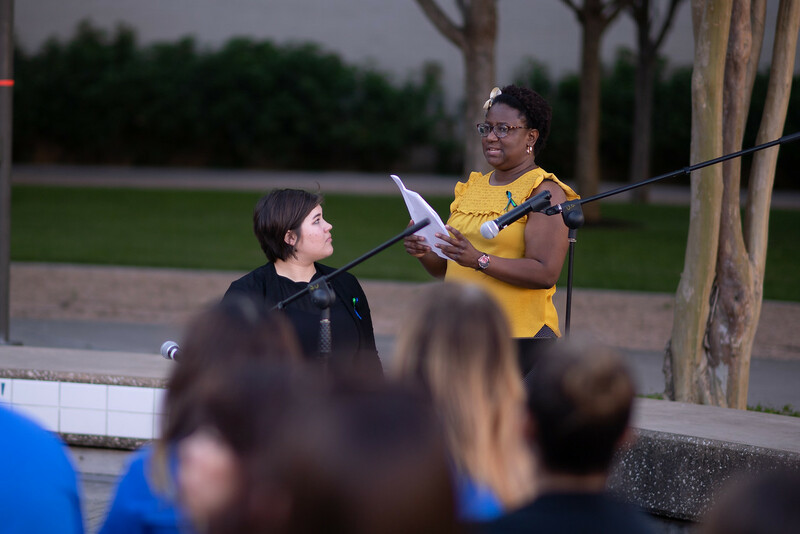 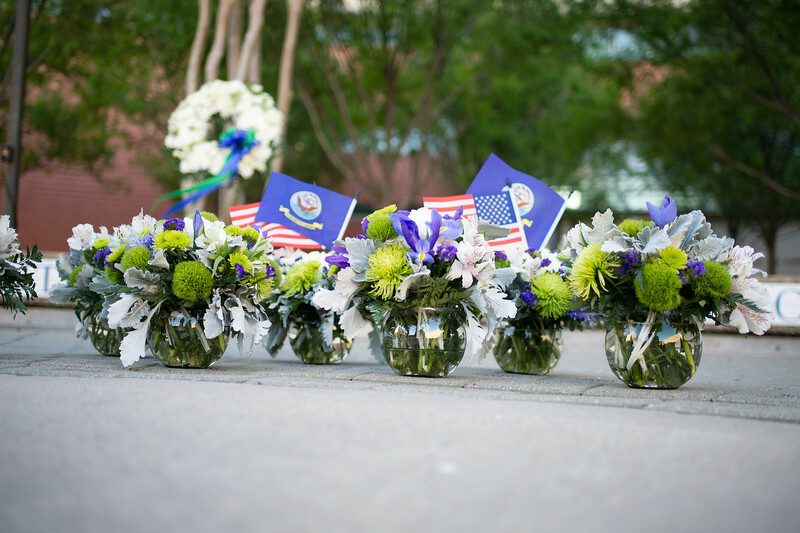 Huerta, along with family members, students, faculty, and staff gathered to commemorate the lives of seven departed students at this year’s Islander Tribute, a tradition that began in 2003. 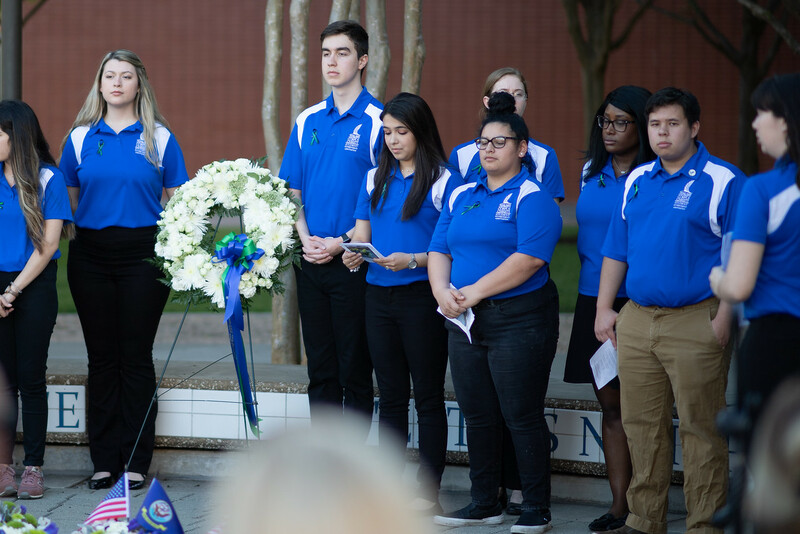 Erin Donalson, who also passed away last summer, transferred to A&M University-Corpus Christi where she was part of the wildlife and fisheries program. 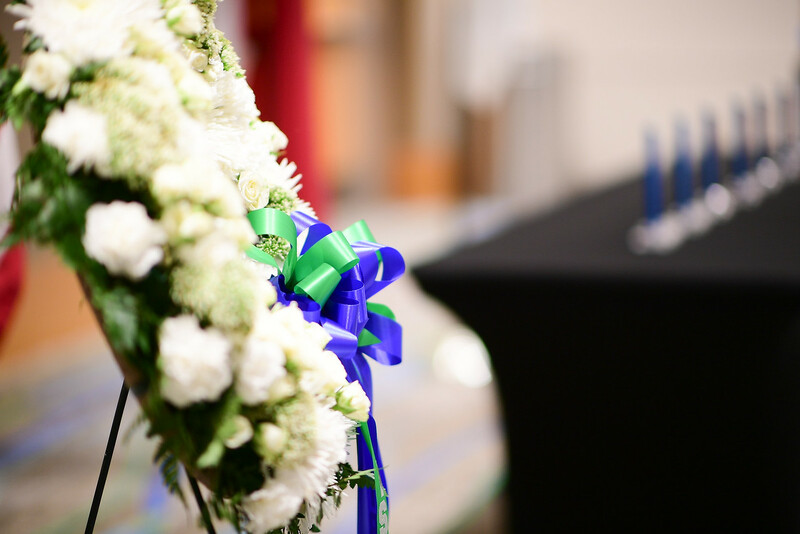 She also was a member of the Alpha Chi Omega sorority and enjoyed saltwater fishing, paddle boarding and playing with her dog, Lucy. 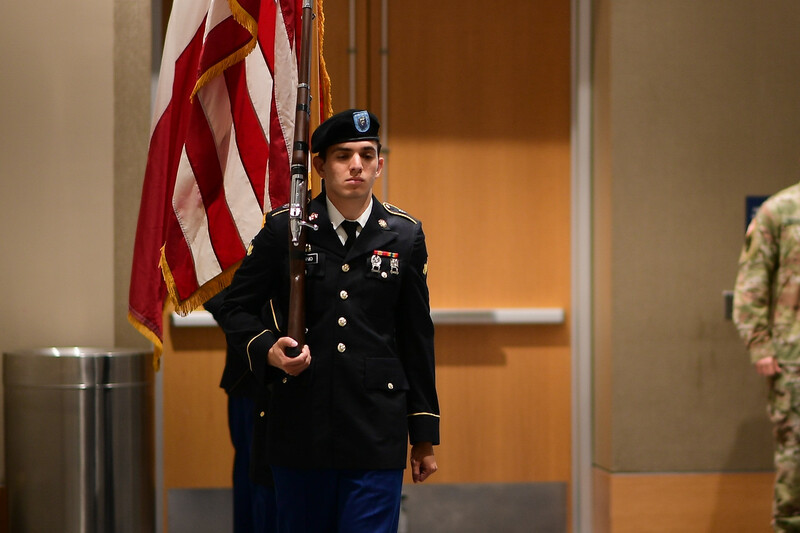 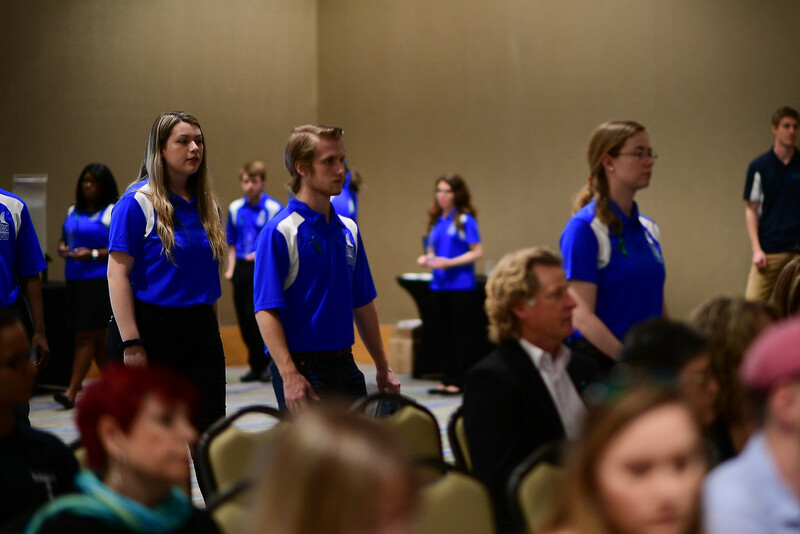 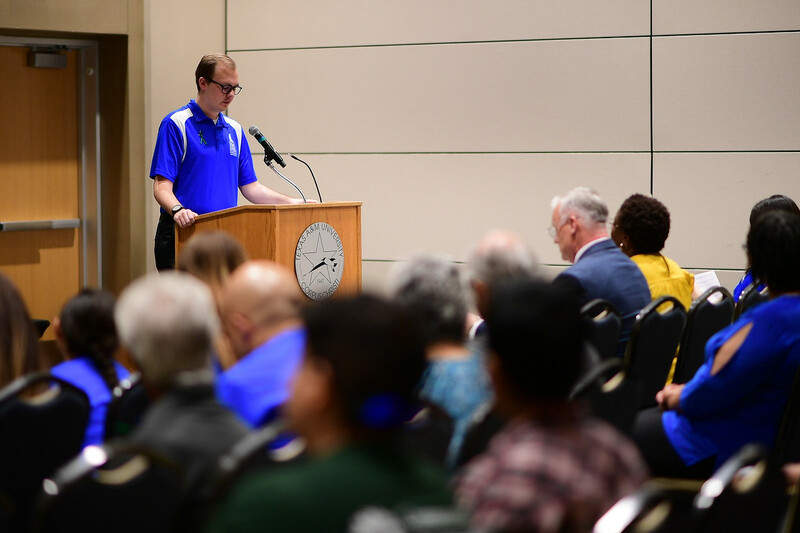 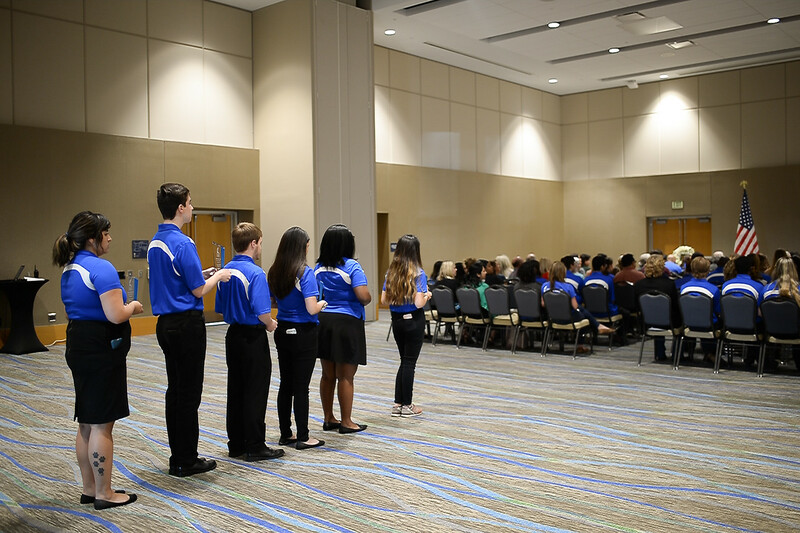 Kirk Jorgensen, a sophomore business student, Student Government Association (SGA) member, attended the event to show support of his former peers. 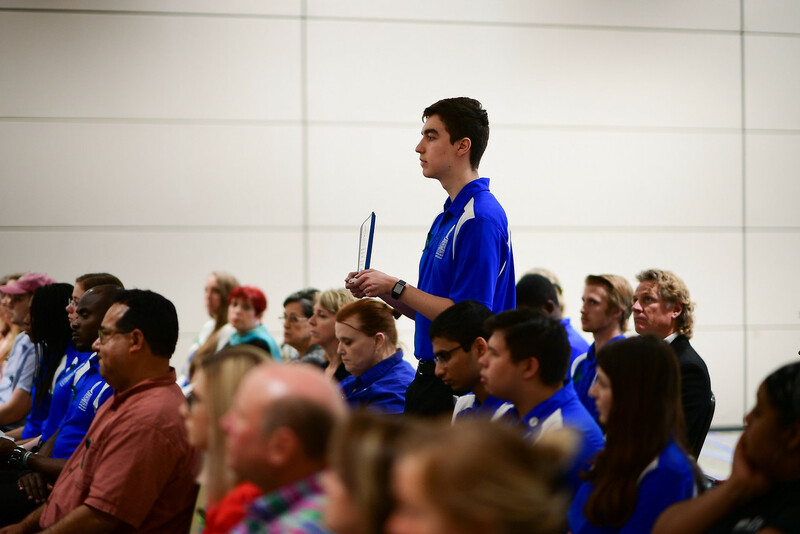 “You see students every day and you think they’re going to be there tomorrow,” Jorgensen said. 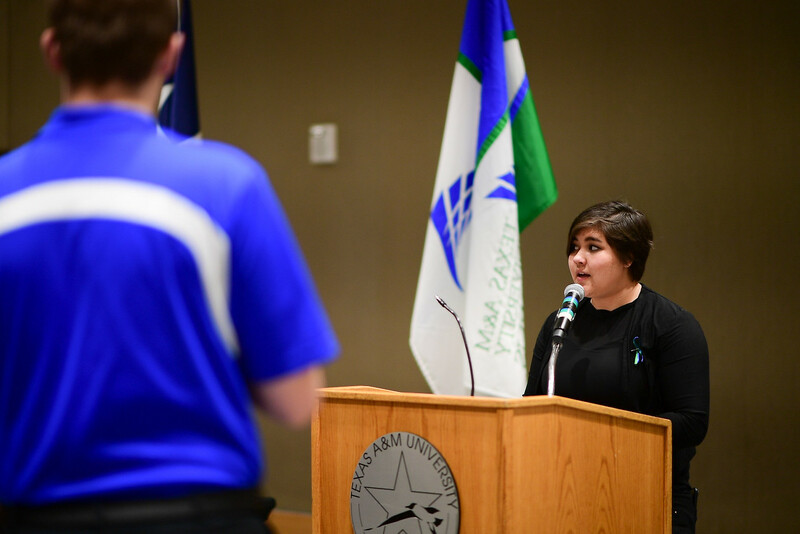 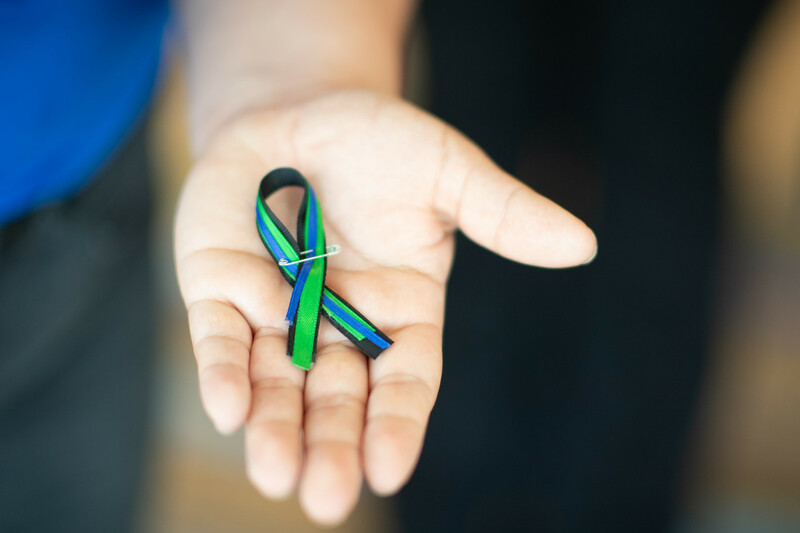 Aspen Salazar, a Kyle native, had an associate degree in Early Childhood Development and was pursuing a bachelor’s in education and human development. 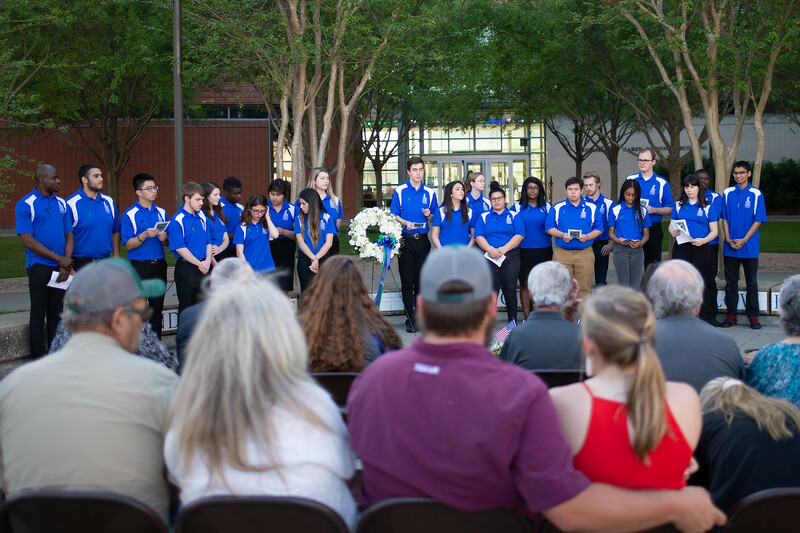 She was a warm and joyful person who went the extra mile for her friends and family. 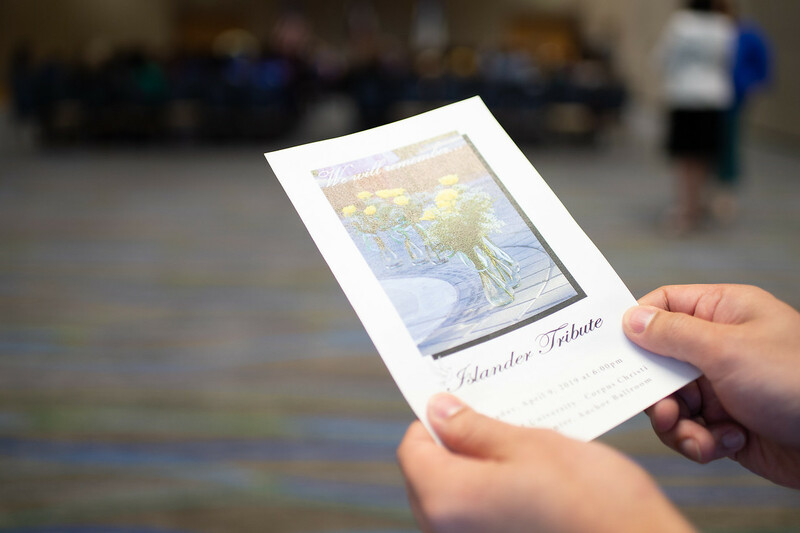 Salazar had a distinctive laugh and a contagious smile that displayed her bright and spirited personality.